The fast machines, pieced together from vintage parts and scrapyard finds, also are rumblier, rustier and turn more heads on the highway. That's pretty much the point of rat rods, which look like post-apocalyptic hot rods. While both are generally low-slung and loud, rat rods wear their rust proudly and never touch a buff cloth. Duvaloois is among a horde of creative gear heads expressing their affection for vintage vehicles by rearranging them into something both new and old-looking. 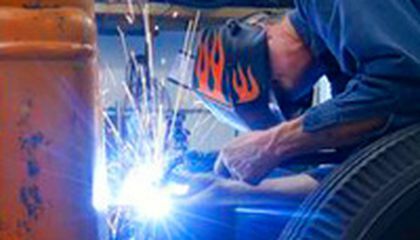 Duvaloois is building a rat rod based on an orange '35 Ford public works truck at his garage, called the Rat's Nest, about 90 miles north of New York City. 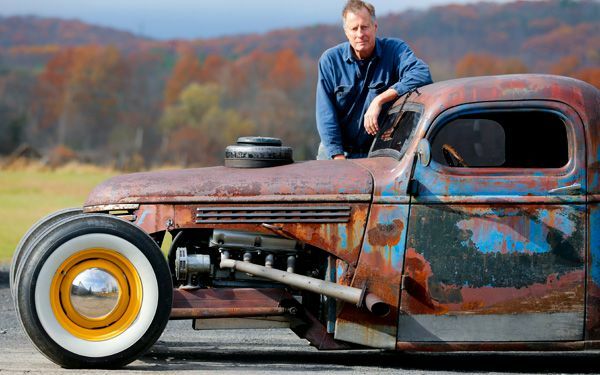 The 63-year-old retiree has raced stock cars and built hot rods, but he likes the more easygoing, don't-worry-about-fingerprints-on-the-paintjob vibe of the rat rod crowd. Rat rods have been around for decades; some say the name stems from hot rodders dismissing the "ratty" looks of other cars. While there is no formal definition, many have low clearances, open wheels and round headlights flanking old-school grilles. Volume counts, too. "We're returning to the roots of hot rodding, basically, where you're trying to build something cool with what you had," Thaemert said. "You wanted it to be fast and you wanted it to be loud and aggressive, and it didn't have to be perfect. It was a poor man's entry into hot rodding." Thaemert believes rat rodding is more popular now. His magazine's Facebook page has more than 1.5 million likes, and the Web is full of pictures of enthusiasts' creations. Hundreds of rat rodders rumble in from around the Eastern Seaboard every summer for Duvaloois' Hudson Valley gatherings. Duvaloois' current rat rod project should be ready to roll by the August gathering. The public works truck from the nearby City of Kingston is chopped down, shortened and has a '50 Olds Rocket engine under the hood. Duvaloois doesn't use blueprints; he says he can't draw. He uses paper cutouts and temporarily tacks the vehicle together to make sure it all fits.